Earn $6.88 in VIP credit (688 points)What's This? 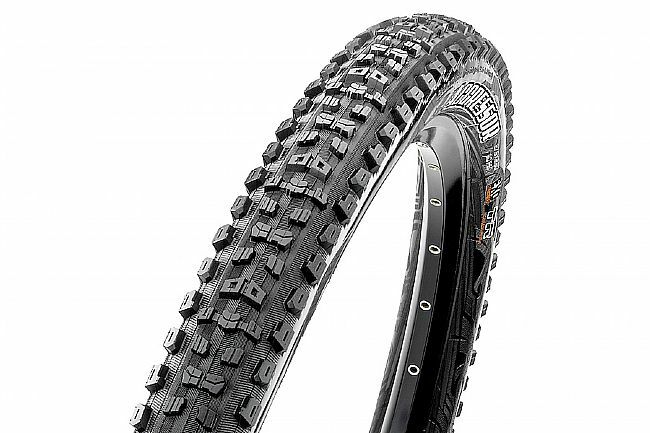 Maxxis' Aggressor 29" Wide Trail DD/TR MTB Tire is designed for high-speed modern mountain bike trails. The advanced knob shaping creates extra gripping edges while reinforced side knobs offer enhanced stability when cornering at speed. DoubleDown protection consists of a dual-ply tire casing -- two 120 TPI casing layers reinforced with a butyl insert for support and protection in a lighter package. Optimized for 30-35mm inner width rims.